32,1 x 40,3 cm - 12 5/8 x 15 13/16 in. 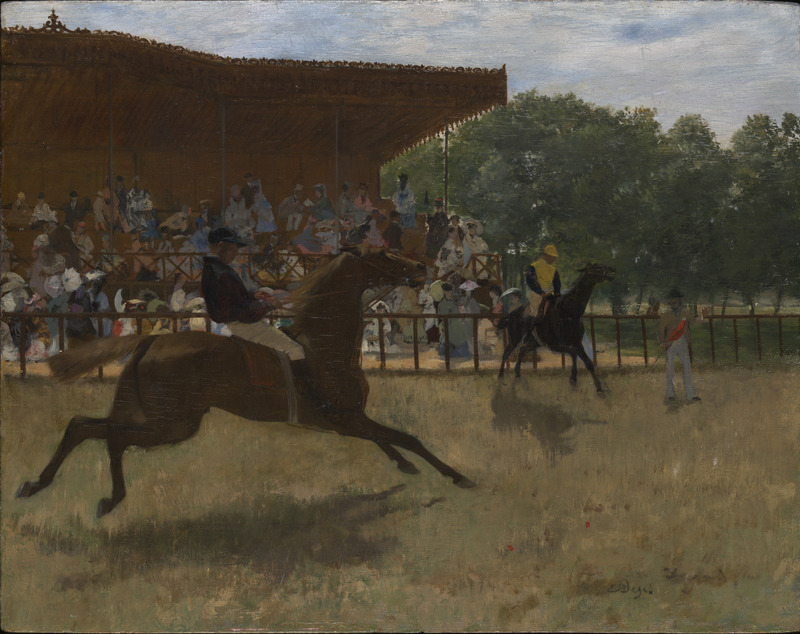 Reitlinger – Durand-Ruel & Cie, mars 1872 – Hoschedé, Paris, 1873 – Durand-Ruel & Cie, Paris (Stock n° 1121) – Vente anonyme, Paris, 13 janvier 1873 – Durand-Ruel & Cie, New York – Alex Reid & Lefevre, Londres, vers 1928 – Knoedler & Co., New York, 1928 – John Hay Withney, New York, vers 1936 – New Haven, Yale University Art Gallery, 1956. Londres, Durand-Ruel & Cie, 1872, n° 4 – New York, Durand-Ruel & Cie, 1918, n° 2 – New York, Durand-Ruel & Cie, 1928, Paintings and Pastels by Degas, n° 1 – Glasgow, Londres, Reid & Lefevre, 1928, n° 12 (repr.) – Amsterdam, E. J. Wisselingh, 1928, 16 avril-5 mai, n° 26 - Philadelphie, Pensylvannia Art Museum, 1936, n° 13, repr. p. 65 – Cleveland, Museum of Art, 1947, n° 14 (repr.) – Londres, Tate Gallery, 1960-1961, n° 16 (repr.) – Washington, National Gallery, 1982-1983, n° 49 (repr.) – Washington, National Gallery, 1983, n° 11 (repr.) – Washington, National Gallery, 1998, n° 55, repr. p. 100. Lafond, 1918-1919, II, p. 444 (repr.) – Meier-Graefe, 1923, pl. XXXI – Meier-Graefe, 1924, pl. 17 – Lemoisne, 1946-1949, II, n° 258, repr. p. 125 – Rich, 1951, p. 48, repr. p. 49 – Lemoisne, 1954, repr. face p. 41 - Rewald, 1961, repr. p. 216 – Lassaigne, Minervino, 1974, n° 191, repr. p. 94 – Reff, Metropolitan Museum of Art Bulletin, printemps 1977, fig. 41 (repr.) - Lipton, 1986, p. 19, 23, 62, repr. p. 25 – Sutton, 1986, p. 143, repr. p. 146 – Weitzenhoffer, 1986, p. 89 (repr.) – Herbert, 1988, p. 161-163, 165, repr. p. 161 – Paris, Ottawa, New York, 1988-1989, fig. 6, repr. p. 124 – Loyrette, 1991, p. 286-287, 288 - Gross, Ed. 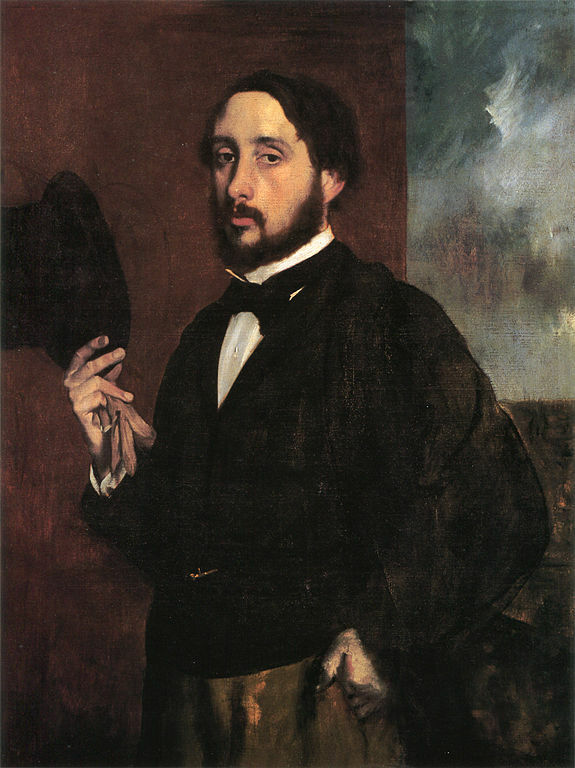 Degas: Defining the Modern Edge, 2003, n° 3, pl. 3, p. 7-10, 16-17, 20 - Museum Folkwang und Hartwig Fischer. Bilder einer Metropole. Die Impressionisten in Paris, Göttingen, 2010 - Chantilly (Domaine), Jeu de Paume, 2018, fig. 62, repr. p. 154.